After being together for over 10 years, I finally did it. I finally perfected a roast! 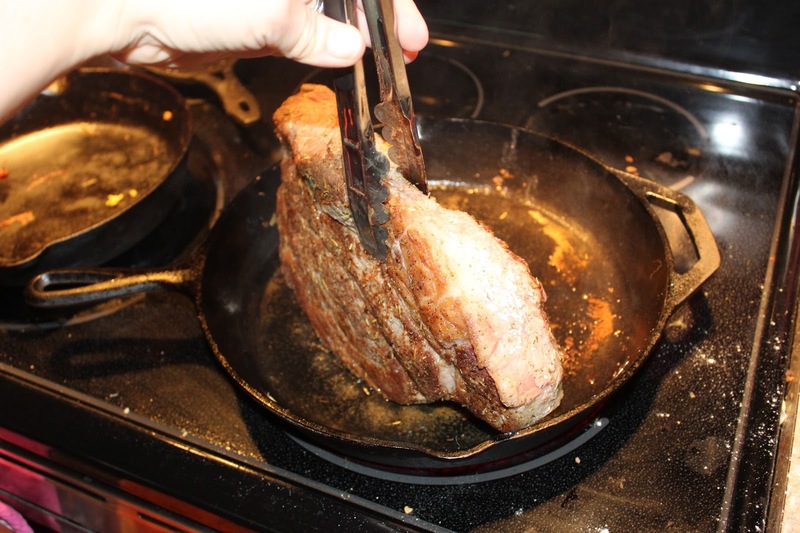 Jason took one bite of this roast and instantly claimed that it is, by far, "the best roast you've ever made". Score! I'm not sure what it was - the seasoning, the tomato sauce....whatever it was, it worked and Jason and both of the kids gobbled it up. Redmond even took leftovers to school the next day for lunch! 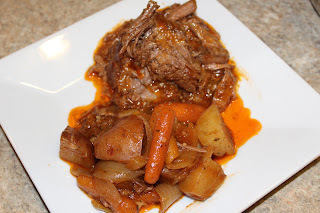 And, since this is a crock pot meal it couldn't be easier. Load up the crock pot in the morning and you've got dinner waiting for you in a few hours. 1. Heat the canola oil in a large skillet over medium high heat. 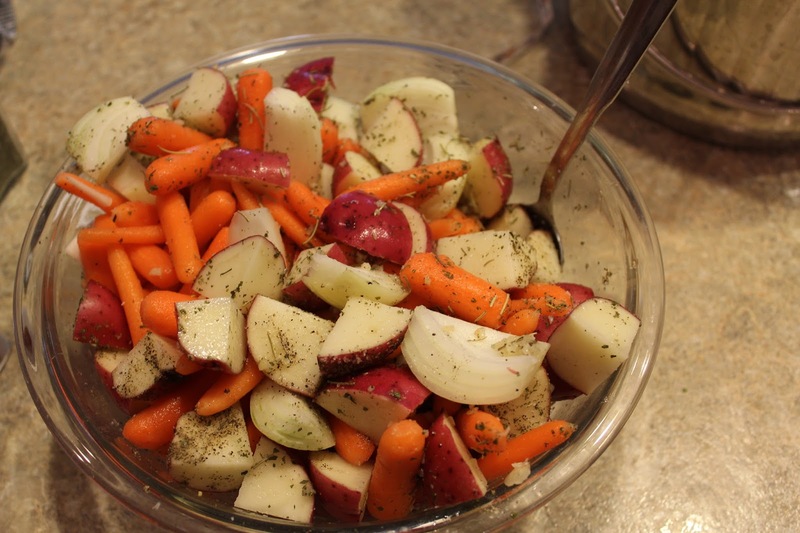 On a large plate, combine the flour through the black pepper for the roast and mix well. 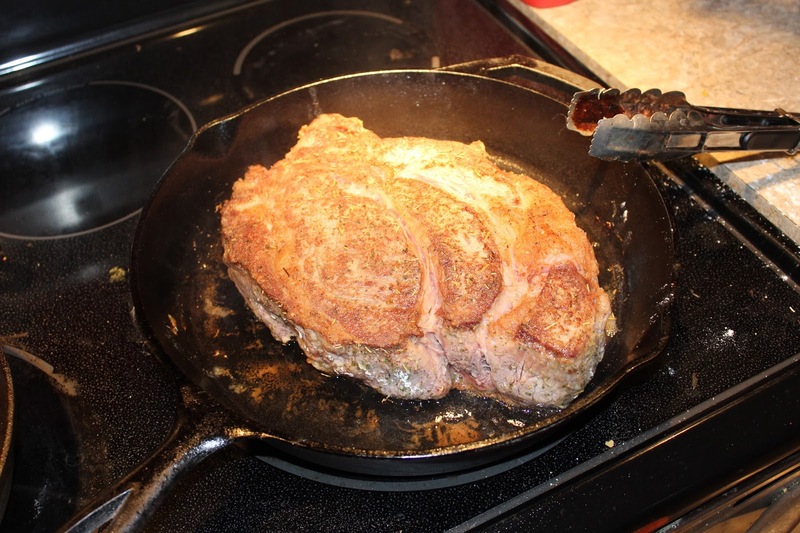 Coat the roast on all sides with the flour mixture and, once the oil is hot, brown the each side of the roast. 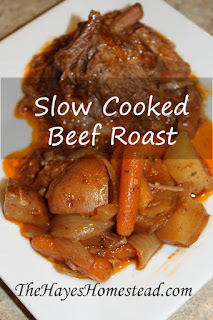 You'll know that the roast is ready to be flipped when it easily gives away from the pan. 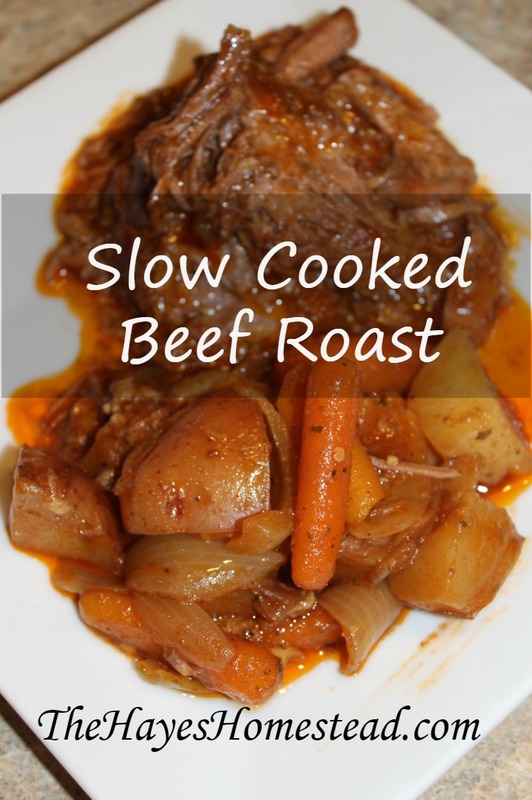 Once every side is browned, place the roast in your crock pot. 2. In a large bowl, combine all of the veggie ingredients except the tomato juice. Once mixed well, add the veggie/seasoning mixture to the crock pot. 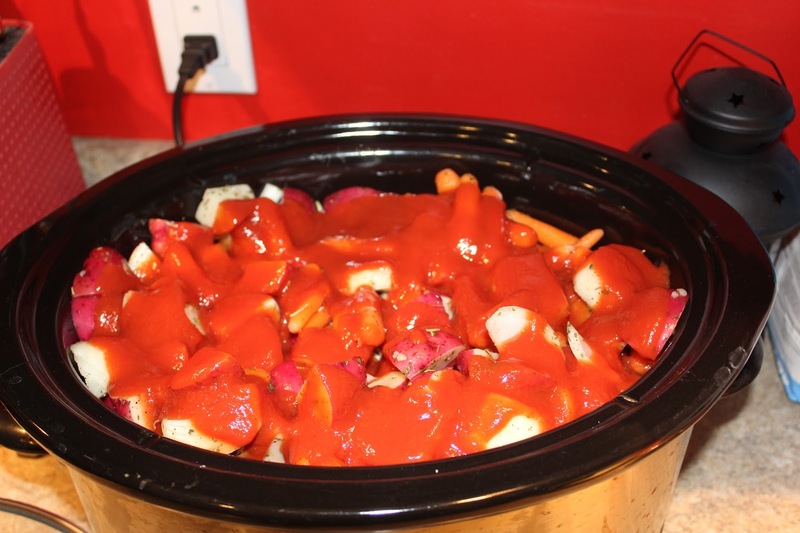 Pour the tomato juice over the veggies and roast. Cover and cook on low for 6-8 hours. Serve, eat up, and enjoy!